Call us today on 0118 9406408 or you can find more information about our products below. Provides a waterproof protective layer to your leather which can be buffed to a high shine. Gently revive the colour of your leather, whilst conditioning and protecting at the same time! A 2 part kit to clean and protect any type of leather. Comprising of Cleaner, Balm, Sponge and Brush. Protective waxes and moisturising oils which revive dry, lifeless leather to a healthy rich sheen. A liquid balm containing which will protect and revive leather. A plant based leather cleaning spray which will gently lift dirt and grime. 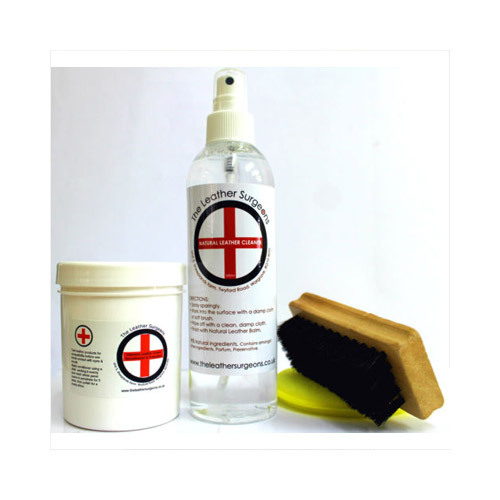 A 2 part kit to clean and protect any type of leather. Comprising of Cleaner, Cream, Sponge and Brush. A special blend of natural beeswax and carnauba wax from Brazilian palm trees which will provide a waterproof protective layer to your leather which can be buffed to a high shine. 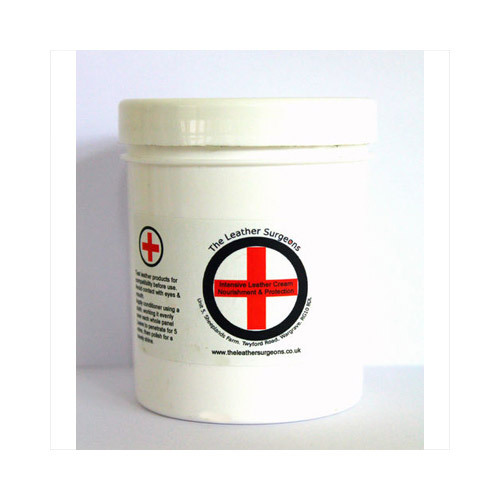 Leather Protector prevents and reduces general wear to the surface of your leather. Once your leather has been cleaned and conditioned Leather Protector will prevent further wear, stains and discolouration. Is your leather looking tired, sun faded, scuffed? The Leather Surgeons Leather Recolouring Balm will gently revive the colour of your leather, whilst conditioning and protecting at the same time! Easily applied with a sponge or soft cloth, and can be buffed to a rich shine. For absorbent leathers. 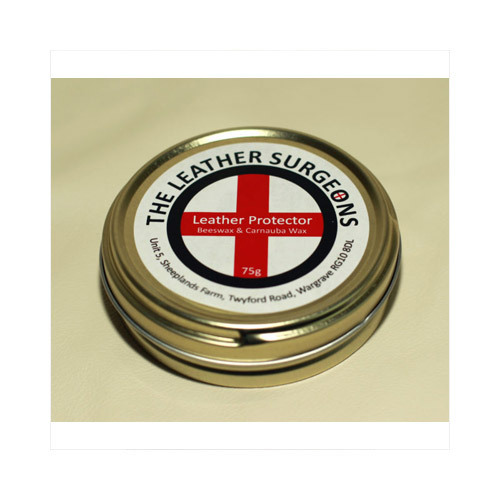 For longer lasting results protect with The Leather Surgeons Leather Protector. A plant based leather cleaning spray enriched with cotton and lemongrass essential oil, which will gently lift dirt and grime with natural plant extracts , not harmful detergents. Use whenever your leather is looking or feeling dirty, grimy or greasy. 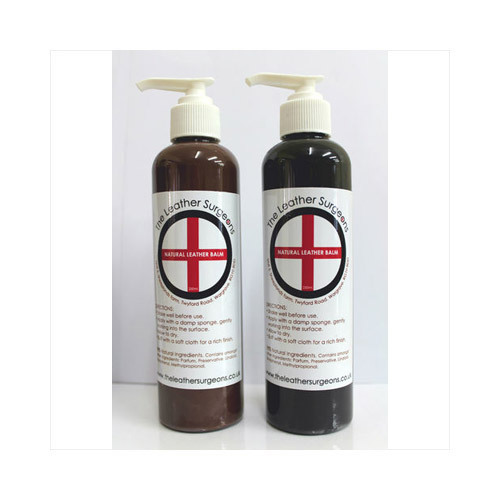 Natural leather cleaner can be used on all different articles of leather, from furniture and car interiors to clothes, shoes, handbags and even equestrian leathers. Leather Ultra Clean is used to clean leather that has become very dirty and needs a good clean. It works on all colours of leather and all different grain types. A liquid balm containing pure natural beeswax, silk proteins and enriched with vitamin E, which will protect and revive leather without leaving any sticky residues and can be buffed to a beautifully rich shine. Reduce the ageing process caused by general wearing. Natural Leather Balm is suitable for all leather types, and can be used on furniture, car interiors, handbags, clothing etc. 250ml will protect a 3 piece suite 2-3 times. We recommend protection every 2-3 months. We recommend using the brush whilst cleaning the leather as it enables the cleaner to lift the dirt from the surface more effectively. 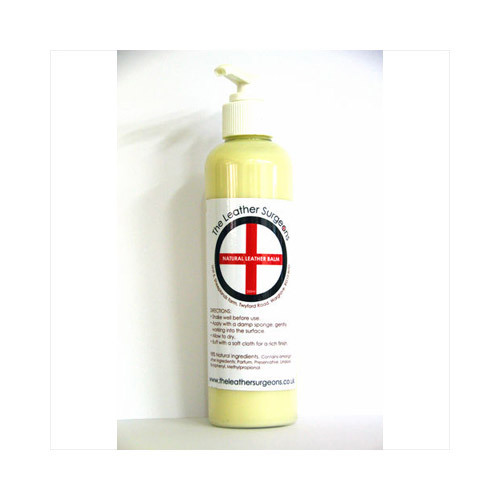 The best intensive leather conditioner available! An intensive formulation of protective waxes and moisturising oils which will instantly revive dry, lifeless leather to a healthy rich sheen. Intensive Leather Cream is suitable for all leather types, and can be used on furniture, car interiors, handbags, clothing etc. 250ml will protect a 3 piece suite 2-3 times. We recommend protection every 2-3 months. A plant based leather cleaning spray enriched with cotton and lemongrass essential oil, which will gently lift dirt and grime with natural plant extracts , not harmful detergents. Use whenever your leather is looking or feeling dirty, grimy or greasy. 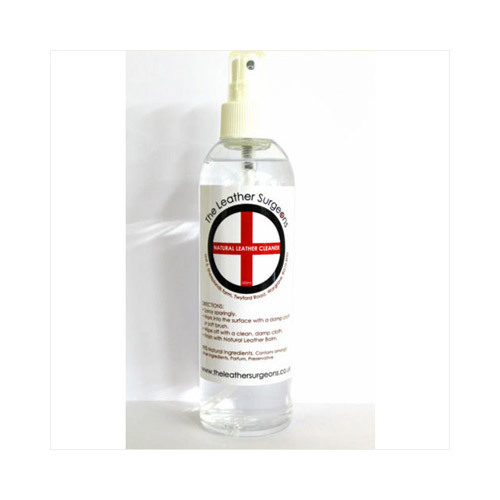 Natural leather cleaner can be used on all different articles of leather, from furniture and car interiors to clothes, shoes, handbags and even equestrian leathers. Leather Ultra Clean is used to clean leather that has become very dirty and needs a good clean. It works on all colours of leather and all different grain types.